You begin as a little seedling, pure and sweet, going along happily in your Delta brain wave state until, Boom; you get scared or shocked by an event and your little body automatically goes into the Fight, Flight or Freeze response. It’s supposed to. It’s the way you’re wired. Fight, Flight or Freeze is your body’s alarm system built in to alert you to danger by sending the stress hormone, cortisol, racing through your body. The blood immediately drains out of your brain’s frontal lobe and into your extremities enabling you to stand and fight or run to safety. What happens next shapes your future. If the scary event or trauma is not released from your body, it gets stored in your brain’s “super file cabinet” called the Hippocampus for your future reference. Your brain has just created the first layer of the onion. It’s perfectly natural. As you grow up, you may have multiple experiences that trigger the same Fight or Flight response. 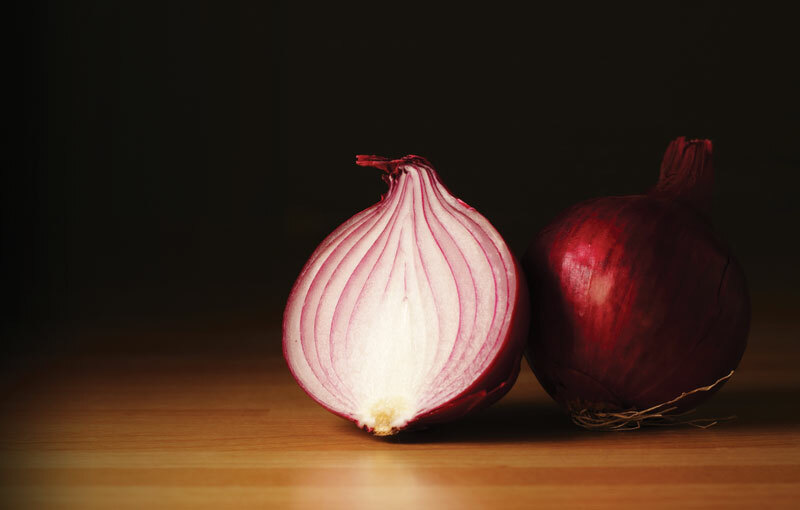 Over time, your body stores these experiences, adding to the layers of the onion until it begins to react with a myriad of symptoms that can manifest as stress, pain, illness, disease, anxiety or PTSD. Nothing is off limits. You can’t figure out why you feel this way or why you’re suddenly sick. Until now, your subconscious has done a very thorough job of holding back the avalanche of emotions tied to these symptoms. The onion, with all of its layers, is emerging and making itself known to you in the form of physical and/or emotional symptoms. The time has come to look within; to dig deep and allow each layer of the onion to be released at your own pace. Your body knows how to heal. Symptoms are your body’s way of letting you know that there’s an energy block causing your pain and discomfort. When you have a headache, do you rub your forehead just above your eyebrows or at your temples? It’s natural. You’re self-soothing to ease the pain, but until the root cause (that onion layer) is released, the pain could reoccur or intensify. EFT (Emotional Freedom Techniques) or Tapping could be considered the work of discovering the onion and gently releasing the feelings that make up each layer. During an EFT session, you will feel the weight and intensity of the symptoms release from your body. EFT combines a gentle tapping technique on eight acupressure points located along the energy meridian pathways of the face and upper torso. While tapping the acupressure points, specific phrases are used to create a laser-focused script shared between you and your EFT Practitioner. With EFT’s proven results in the field of Energy Psychology & Energy Healing, it is poised to become widespread among traditional western medical practices and in hospital settings. As a certified EFT Practitioner, I’ve had the honor and privilege of practicing EFT Tapping with hundreds of clients and have witnessed life-changing transformations. Karen St.Clair, AAMET Certified EFT Practitioner is a highly skilled professional with a true gift for facilitating her clients’ successful outcomes. She specializes in thorough energy clearing using EFT Tapping and is the founder of Reiki Tap Renewal℠, a modality that combines the energy psychology of EFT and the healing energy of Reiki.